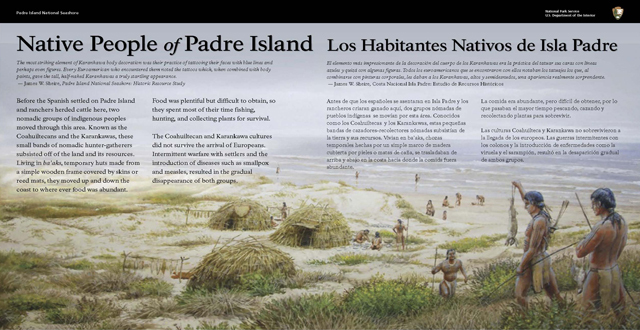 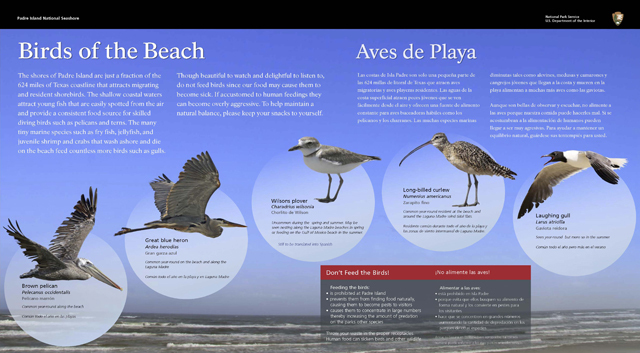 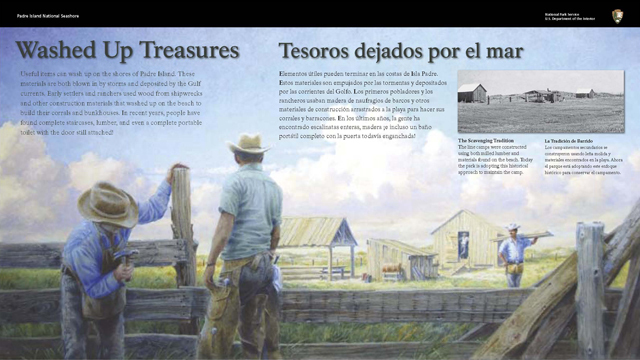 Padre Island, one of few hyper-saline lagoons in the world, protects 70 miles of coastline, dunes, prairies, and wind tidal flats teeming with life. 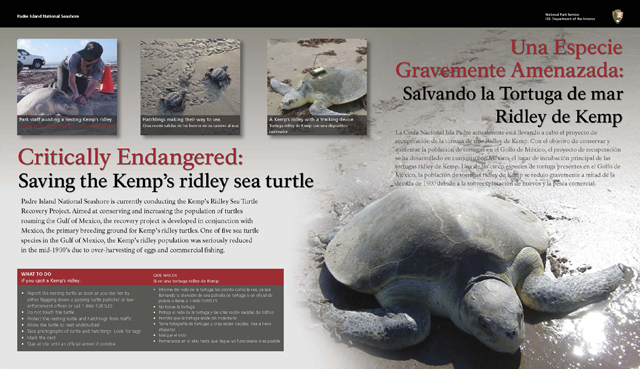 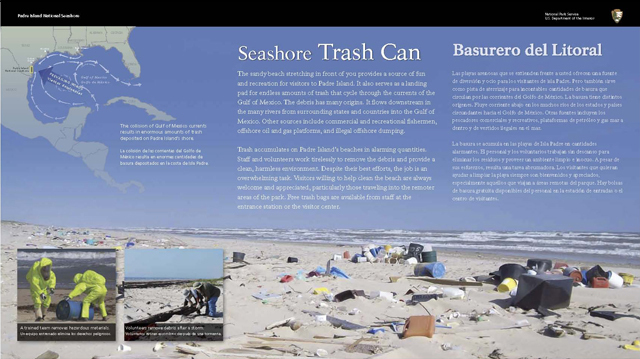 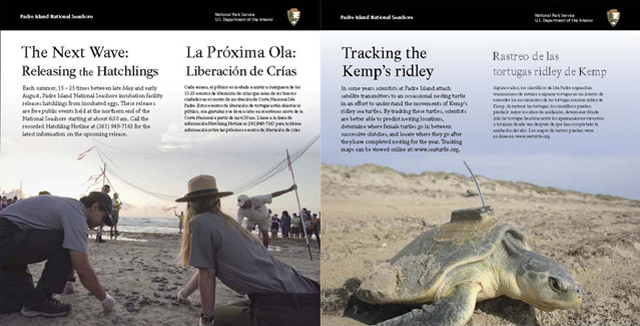 The island provides a safe nesting ground for the Kemp’s ridley sea turtle, and a haven for 380 bird species. 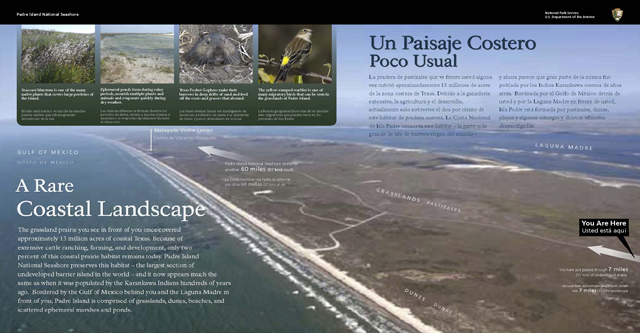 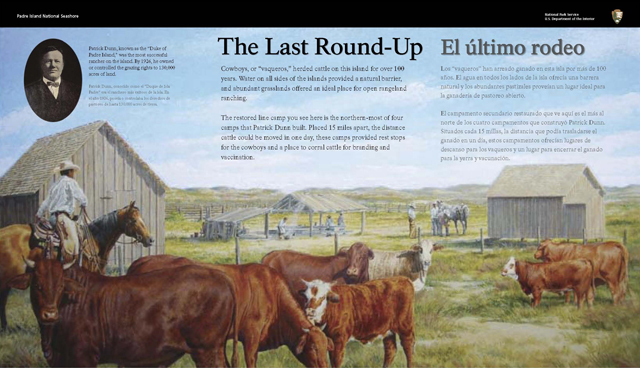 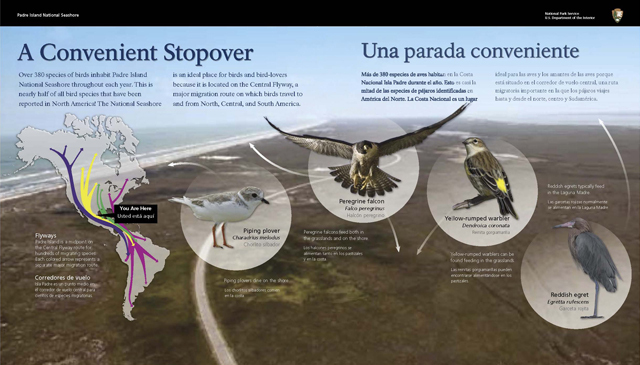 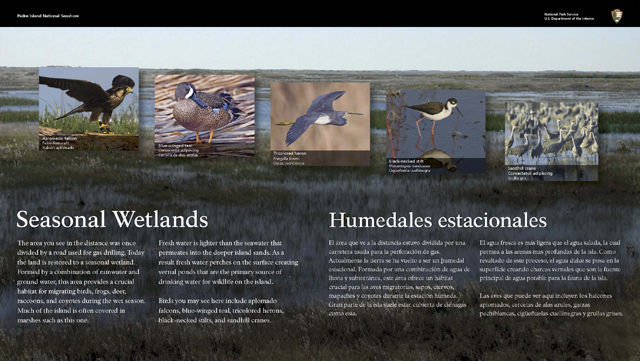 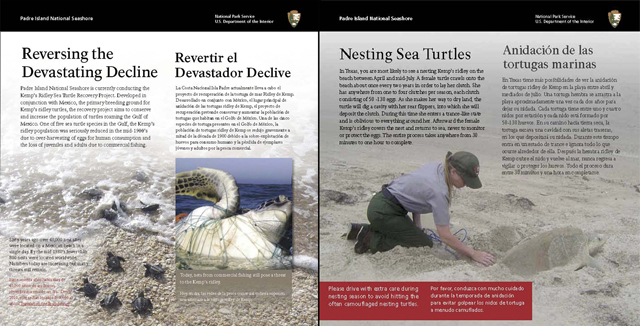 These bilingual interpretive waysides feature this rare coastal landscape, the species it supports, both threatened and endangered, and it’s history of human land uses.